The Chicago Bow Hunters Archery Club is pleased to host the 2018 North Region FITA Field Tournament. 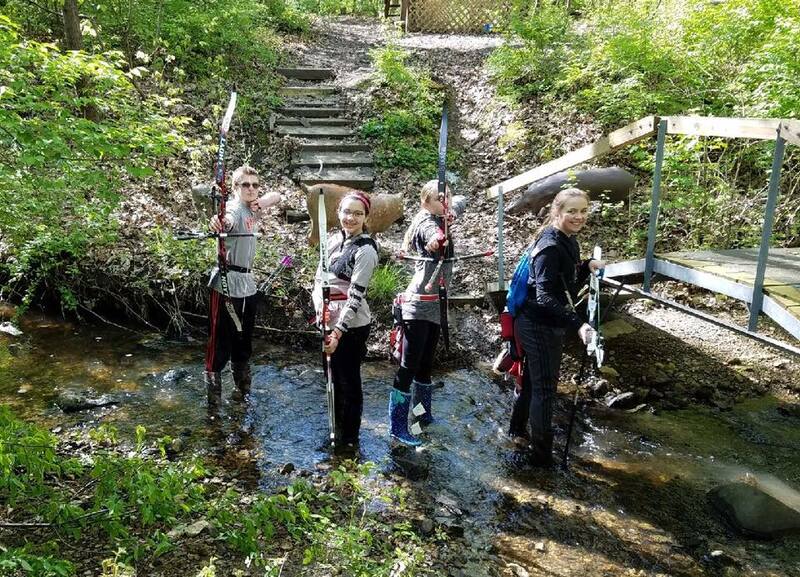 The 2018 North Region FITA Field was held on May 5 and 6, at Chicago Bow Hunters, in Bolingbrook Illinois. We enjoyed two days of gorgeous weather and excellent shooting, highlighted by tournament records set in many categories. Dan Jasa, Jason Pfister, Nathan Zimmerman, Dana Janiec and Olivia Artz shot scores hotter than the weather. Congratulations! Tournament majordomo, Tom Havel, created what might have been the best field layout the tournament has had to date. Targets were strategically placed throughout CBH, providing challenging angles and deceptive yardages which archers had to maneuver. One of the things which sets this tournament apart from many others is the hospitality shown to guests. The CBH crew was on its game! Gwen Sanborn led a team which has enhanced this event and raised the bar every year, by providing delicious food and a welcoming presence. Many thanks to Big Daddy, Dave Schaefer, Julia Schaefer Kim Schaefer, Amy McDonough, Aly McDonough, Stacy Litwin, Chris Neal, Jaime Neal, Kathleen Badon John Goldthwaite. In fact, there was so much laughter and fun coming from the clubhouse, I’m sure I will have forgotten someone, but your efforts are not forgotten! Things can often become chaotic when coming to an event, but our crack crew at registration quickly and effectively welcomed shooters and made sure they were checked in and properly situated. Jill Baus, Patricia Carmichael and Matt Carmichael put everyone’s mind at ease and made check in seamless, tracked monies and tabulated results. Kudos! We all know the course did not ‘just appear’. Hours and hours of planning and work went into creating and setting up the field. Heather Hodge, Dennis Timpanaro, Brent Harmon, Jim McDonough, Randy Rutledge and Tom Havel all worked in concert to execute this year’s beautiful field course. And long after the final arrows flew, Andrew Querol and Tom Havel worked hard to bring in all the targets and clean the field. There were many more volunteers providing all kinds of essential support to the event. Tony Kaap set up and managed our registration. Braniff Kirkpatrick and Dana & Jeff Janiec glued targets. Tom Harshaw provided target transportation, while Jonas Lumayag provided custom cut cardboard backing for our target faces. Together, all of our volunteers make the North Region FITA Field one of the most anticipated tournaments of the year. We thank you and appreciate your efforts! 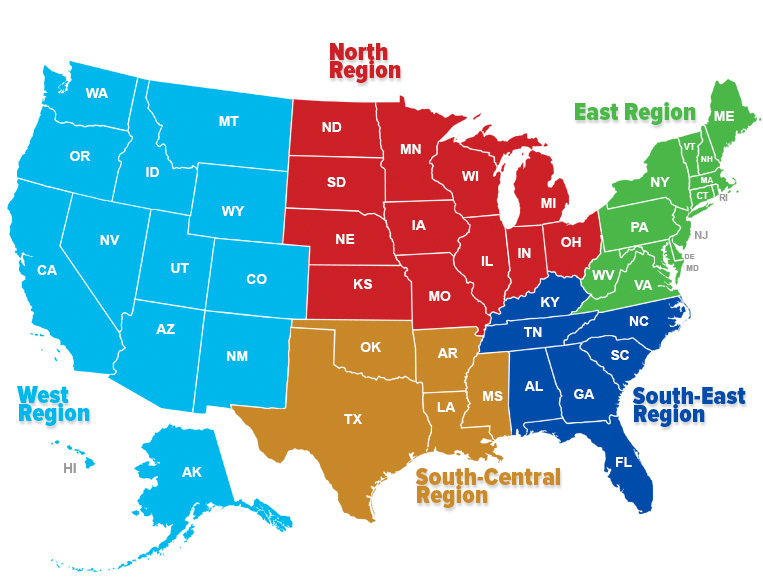 The USA Archery Northern Region is the collection of northern/midwestern states — IA, IL, IN, KS, MI, MN, MO, ND, NE, OH, SD, WI. This tournament crowns the annual field archery champion for all of them. Shooting stakes will be set for all bow styles and age divisions that comply with USA Archery and World Archery (née FITA) Field guidelines. If you are unfamiliar with the FITA Field archery format, here is a quick FAQ on what it is. It is a two day event. on each day there are 24 different targets. You shoot 3 arrows at each target. So, 72 arrows on day 1 followed by 72 arrows on day 2, for a total of 144 arrows. Your shooting positions will be challenging, uneven, and possibly located in a shallow river. Distances are unmarked on the first day. Distances are marked on the second day. To be eligible for medals, you must shoot both days. Registration is now open below. Pre-registration and Tournament Fee: Pre-registration is required. You can register below. The tournament capacity is 96 shooters (4 at each target). Tournament Fee: The tournament fee is $40 for the two days. As a family discount, only the first two archers in each family will be charged the full fee. Each additional archer pays only $7.00 each. Schedule: Friday evening. CBH practice ranges will be open from 5:00-8:00 PM. Make sure to bring your USAA or NFAA membership card to check-in. Saturday morning. Tournament check-in will be from 8:00-9:15 AM. Practice ranges will be open from 8:00-9:25 AM. At 9:30 AM, all participants will meet at the CBH clubhouse for last minute instructions. After this meeting, participants will move onto the course to their first target assignment for a “shot-gun” start. Scoring will begin at 10:00 AM. Sunday morning. Be sure to check in prior to 8:30 AM. The CBH practice range will be open from 7:00-8:25 AM. Announcements will be at 8:30 AM. Scoring will begin at 9:00 AM following a shotgun start. Location: Chicago Bow Hunters (Location Notes) is located in a residential neighborhood. It is at 320 Charlestown Drive, Bolingbrook, Il 60440. From Boughton Rd, Exit off of I-355, head west four stop lights. Turn right on Pinecrest and go to one stop sign. Turn left on Charlestown and go a few blocks. From the street you will see a gated driveway on the right. Accommodations: The kitchen at Chicago Bow Hunters will be in full swing. There will be some small breakfast items available for purchase. A complimentary all-you-can-eat lunch buffet will be available for $5. Area Hotels: There are hotels in the area for seven or eight national chains. You should have no trouble finding a room online. Awards: Medals will be awarded for the first three placements in each division. Because of the anticipated size of the tournament, we would like to limit the number of non-shooters on the field. For each Bowman and Cub archer, only one parent or chaperone is allowed on the course with their group. World Archery rules disallow multiple sight pins during the unmarked rounds of a field shoot (Saturday’s forma). Please remove additional pins before Saturday’s equipment inspection.